This post is specially prepared for iPhone 7 and iPhone 7 Plus users to backup text messages on their device. Download AnyTrans to transfer only text messages and iMesages from iPhone 7 to computer or another iOS device. Supports iOS 10/9/8/7/6/5. iPhone text messages could be carelessly deleted by yourself or your kids, or accidentally lost after an iOS update or device restore. If you plan to get a new iPhone 7 or bigger iPhone 7 Plus, you'd better know something about how to backup your device to prevent your messages from losing by accident. In this post, we talk about how to backup text messages on your iPhone 7 or iPhone 7 Plus in iOS 10. 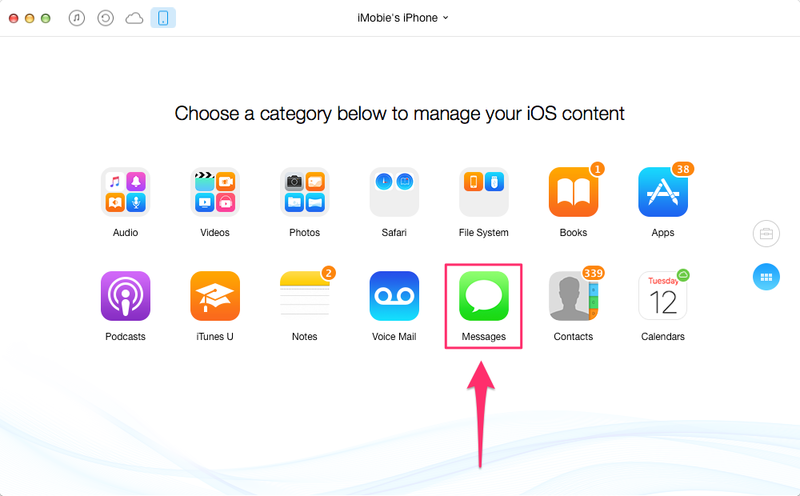 (iOS 10 and iPhone 7 are on the way to release, we just give you some common tips to backup your iPhone text messages). iCloud can automatically backup data and settings on your iPhone 7 to iCloud server. And the process of manually backing up with iCloud is pretty easy in a few clicks once you connect your iPhone 7 to a stable Wi-Fi network. Step 2. Click "Backup Up Now"
iCloud could be one of helpful methods to backup data on your iPhone, but it cannot backup only text messages or iMessages and you can't view text messages or other content on iCloud backup unless you restore your iPhone 7 with the backup. It requires you to connect your iPhone to computer if you plan to use this method to backup your SMS on your iPhone 7 or iPhone 7 Plus. Step 1. Download iTunes to your computer, install and run it. Step 2. Connect your iPhone 7 to computer with data cable. Step 3. After iTunes recognize iPhone, click iPhone icon and choose "Summary" under Settings. Step 4. 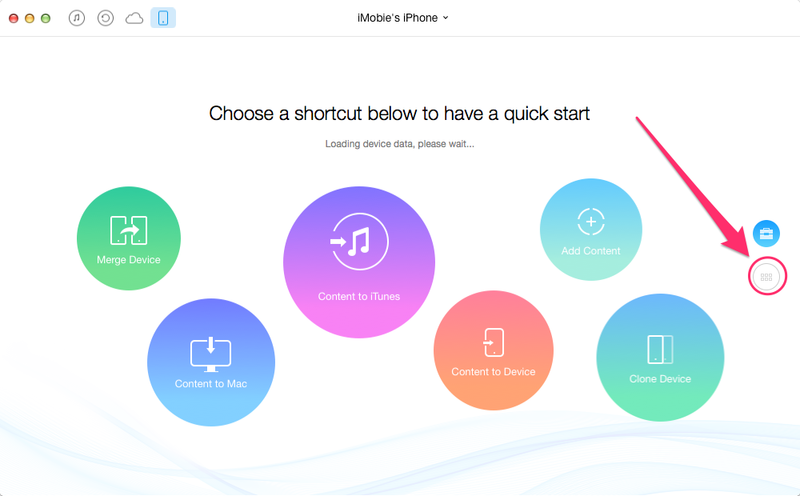 Find "Backups" area on the right side, and click "Back Up Now" to backup your iPhone 7 to iTunes on your computer. This method is similar with the first one. You cannot backup only messages on your iPhone 7 but all data and settings. And if you want to view messages on iTunes backup, you have to restore your iPhone 7 with the backup. 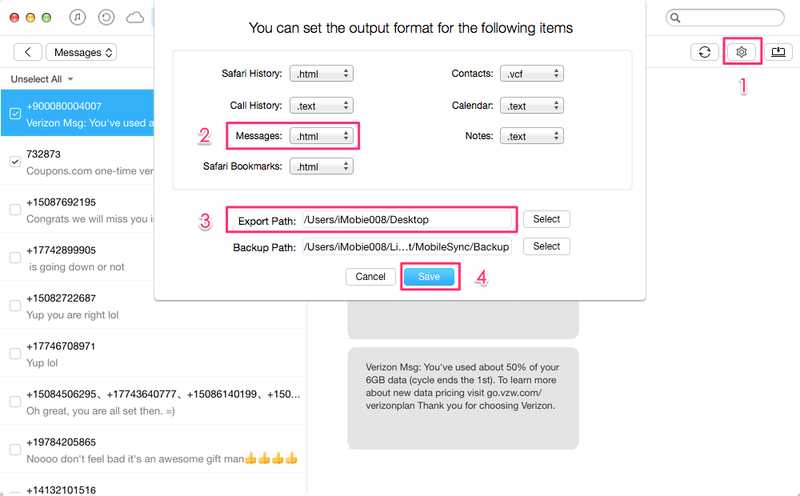 Actually, you can save iPhone messages conversations to some readable and printable formate like PDF, TXT or HTML on your computer instead of backing up all data on your device. And in this way, you can view your message history anytime you want. Below we offer one professional iPhone transfer tool - AnyTrans to help you make it. Step 1. Download AnyTrans, install and run it on your computer. Connect your iPhone 7 to computer. Click to manage categories. Step 2. 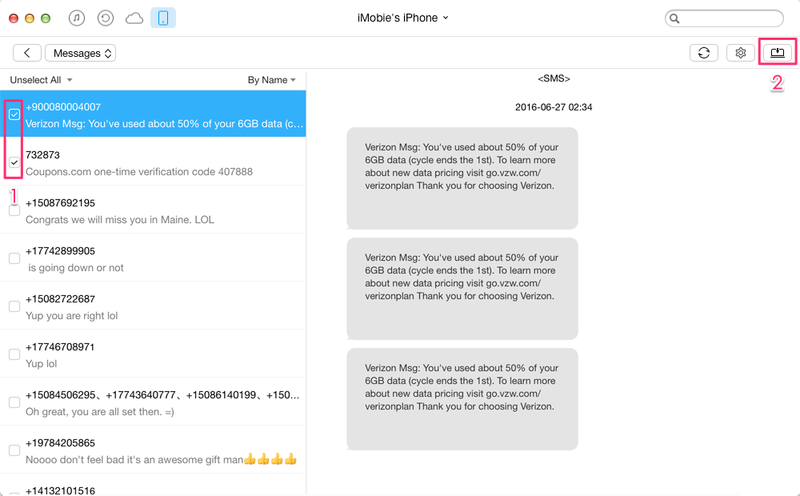 Click Messages to preview all messages on your iPhone 7. Step 3. Select messages and export selected conversations to your computer. Tip: Before exporting messages to computer, you can set exported format as HTML or TXT by clicking on the right corner.